I'm sure you've already heard the news that Cara Delevingne has been cast in the movie "Pan," also starring Rooney Mara, Amanda Seyfried and Hugh Jackman. The movie is a reinterpretation of J.M. Barrie famous tale of Peter Pan. Yes, the name is a dead giveaway. Cara Delevingne shared a first look at the filming in progress from Warner Bros Studios Leavesden this morning via her instagram page. 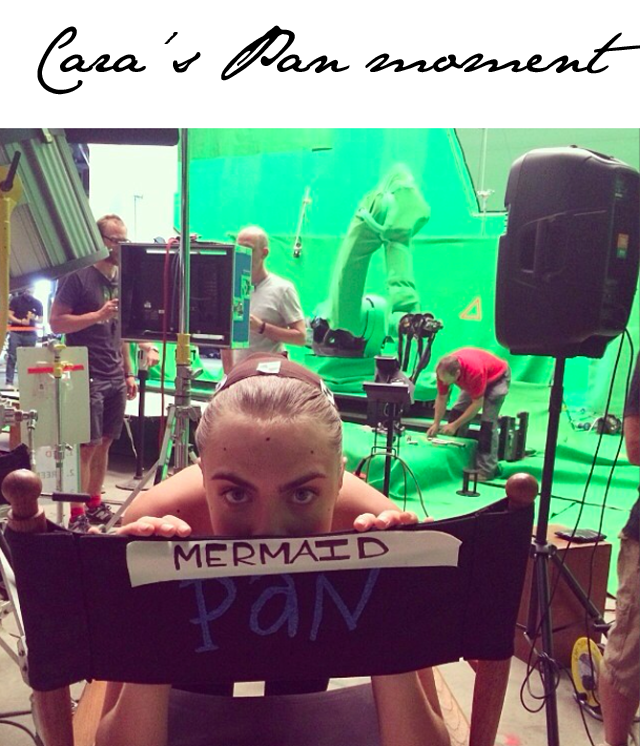 She didn't give too much away, just a look at a green screen and a caption, "This is gonna be seriously MERMAZING! #PAN" Soooo... she's a mermaid? Can't wait to see how this all plays out.